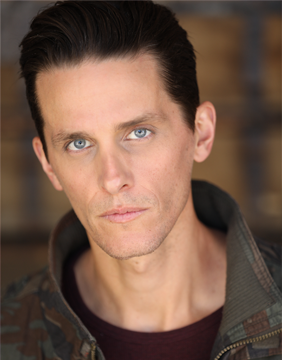 Brian Hanford was born in San Francisco, California then moved to Birmingham (England) where he received his Master’s Degree in Acting. After moving to London, he worked as an actor and voice over artist with projects like Fury, MI:5, and Guitar Hero, as well as performing stand-up and writing for TV pilot, Tenured. In 2015, Brian moved to LA where he has been working as an actor, voice & motion capture artist and on-camera host. In the last few years, he has established himself as an actor with great intensity and dark edge to his performance. His recent works have been with the Hulu show Jean-Claude Van Johnson, Capcom’s AAA releaseDevil May Cry 5, and Gamer World News Entertainment. As a writer, Brian has gained more momentum working for TV and digital series. In the last year, he has done punch-up writing for TV series, We’re The One as well as having multiple story producer credits with docu-series like Beverly Boy Production’s Clean Slate and Caesar’s Last Breath. Most notably, Brian has had two short films produced in 2019 that will be making festival runs over the coming months.